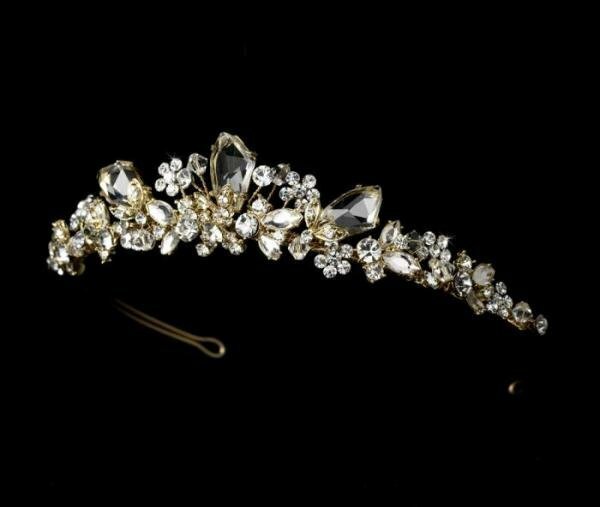 Beautiful geometric Swarovski crystals and clear rhinestones sparkle throughout the floral design of this gorgeous gold plated wedding tiara. Perfect for your modern wedding. 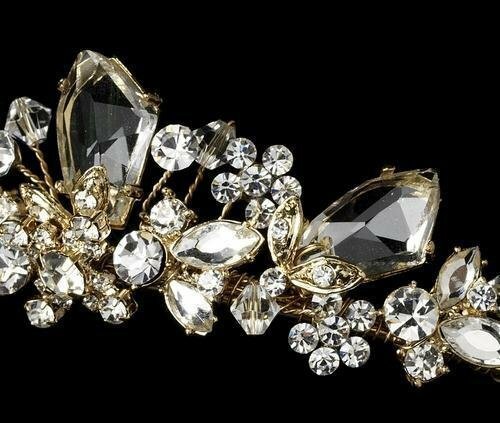 Suitable for any upstyle or downstyle. Size: 20 cm wide, Height: 2.5 cm tall.